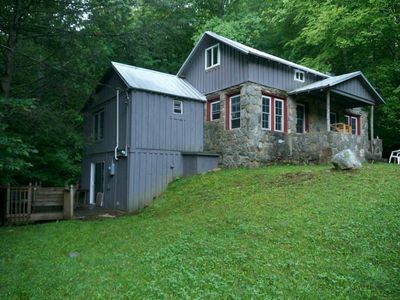 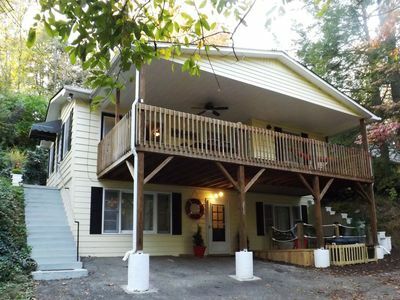 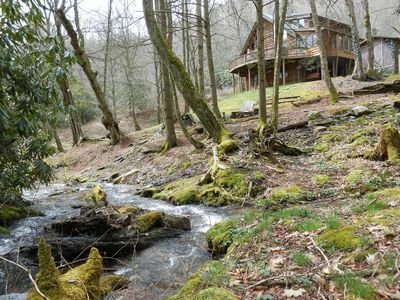 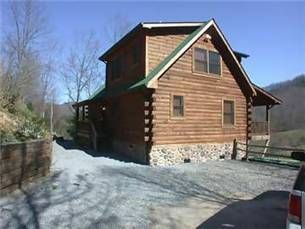 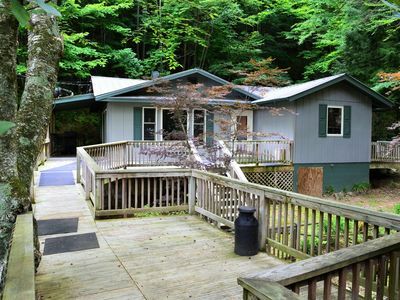 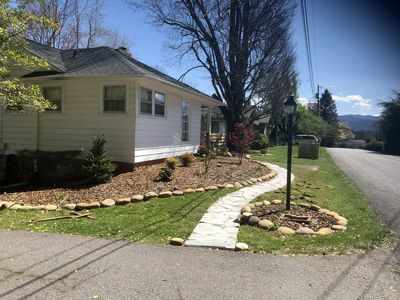 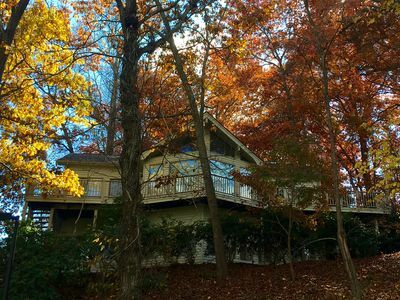 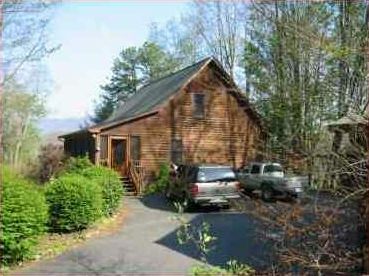 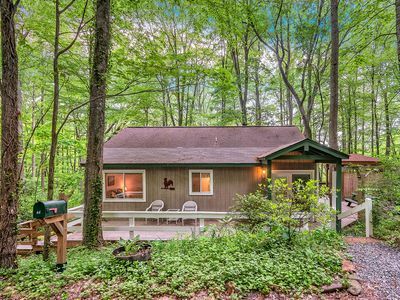 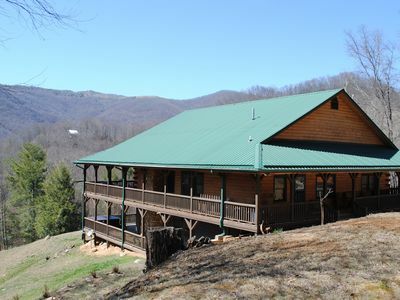 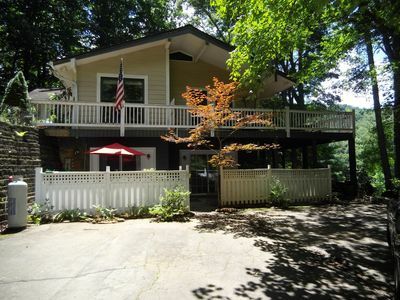 A Modern Cabin 5 minutes from downtown Waynesville! 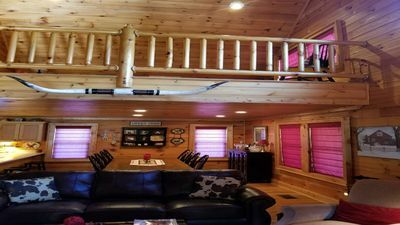 This cabin has all the comforts of home! 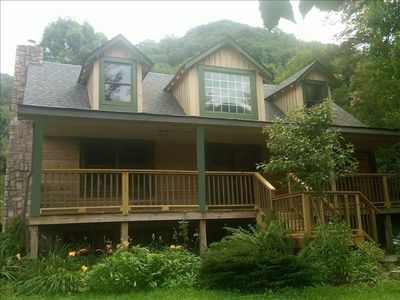 Fully furnished 2 Bedroom/2 Bath home with loft sleeps 4-8 (King/Queen/2 Futons) comfortably. 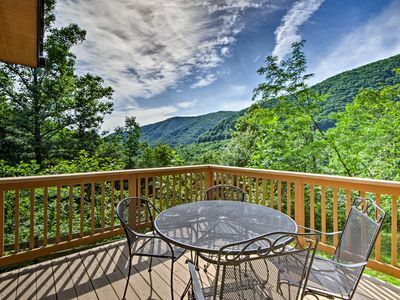 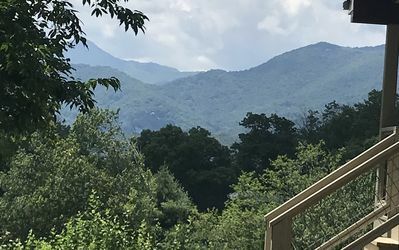 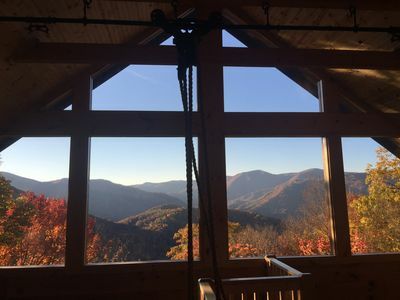 A screened porch (with rockers) has breathtaking views looking into the Smokey Mountains to the West and North. 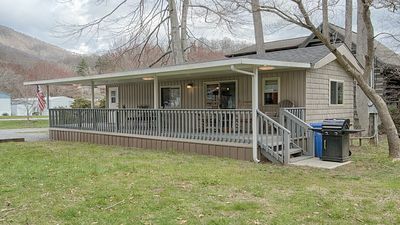 Wrap around deck with gas grill and outdoor dining furniture. 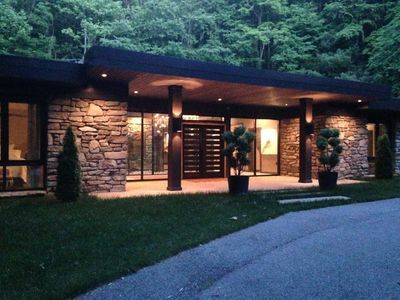 Fully equipped modern kitchen. 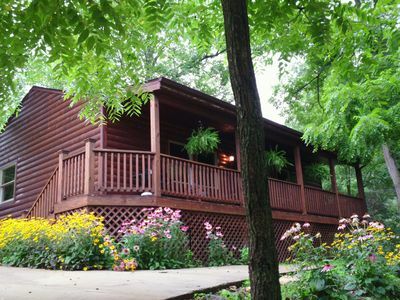 Cable and high speed wireless internet are provided. 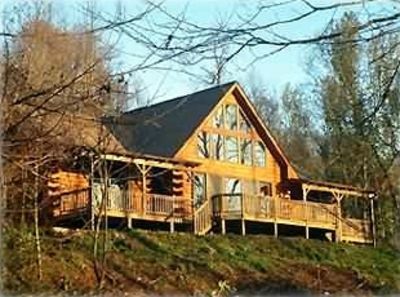 1.5 hours to Pigeon Forge and Gatlinburg, TN (Home of Dollywood) and Minutes to Blue Ridge Parkway and National Parks! 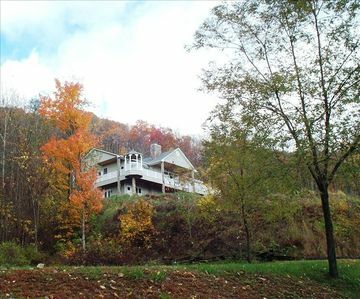 Luxurious Hidden Valley Lodge - Relaxing Mountain Retreat!